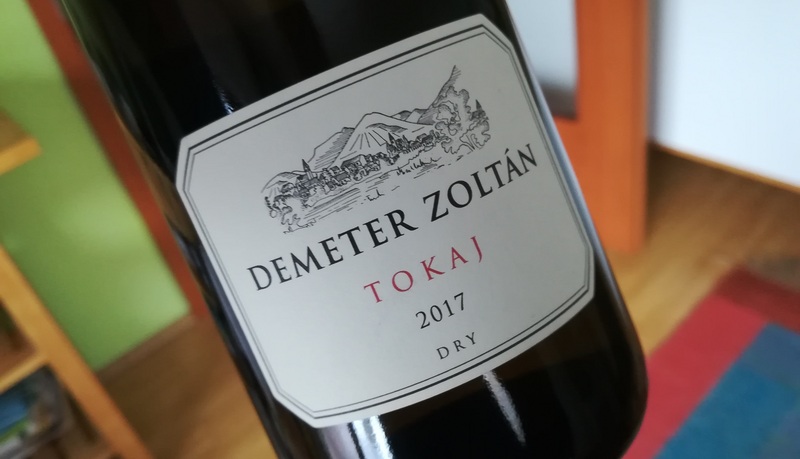 Zoltán Demeter’s estate wine is cast in the mould of German rieslings and is a precise, linear furmint with unusually bright fruit flavours for the variety. The 8 gram residual sugar is beautifully integrated and is barely noticeable. Anyway, I have a penchant for the grey zone where dry meets off-dry and to my mind a Tokaj furmint without RS is like potato chips without salt. The inviting nose displays pears, gingers, herbs and some gooseberries. The palate is juicy, bright and attractive. From mid-palate onwards the structure thickens and this is something I find less than elegant (btw this is a common bugbear with many Tokaj drys). It’s fairly concentrated with an almost oily texture. The finish is slightly tannic which struck me as odd for this style. Despite my quibbles it’s a fun wine to taste and drink (not something to be taken for granted with most Tokaj furmints). The 2017 Tokaj Dry is a welcome U-turn after the rather lacklustre drys of 5-6 years ago and is a testament to the adventurous spirit of the winemaker.